At 20:10 this evening, the Skerries Coast Guard team were just commencing a training exercise on Rush South beach when they spotted a lone red parachute flare deployed nearby in the area of Portrane/Rogerstown estuary. The Skerries team immediately notified the Coast Guard’s Maritime Operations Centre of the distress signal and headed straight to the area, beginning their search within seconds. The Coast Guard issued a radio Pan Pan alert to all vessels in the area and several vigilent members of the public also contacted the Coast Guard on 999 to report the flare. 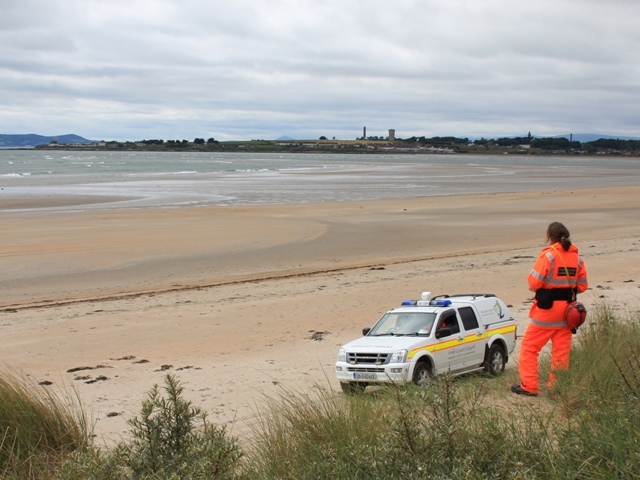 The Dublin based Coast Guard helicopter was also tasked to conduct a search of the Donabate/Portrane/Rogerstown area. 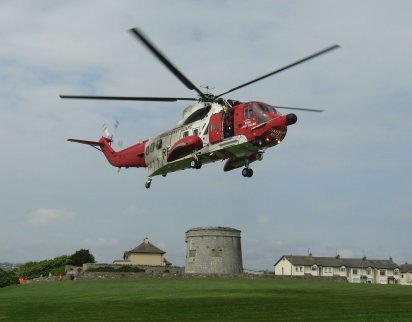 A thorough search of the area was conducted, involving Skerries Coast Guard, a Coast Guard helicopter (Rescue 116) and several public vessels but nothing unusual was found. With the incident successfully concluded the Skerries team resumed their training exercise. Remember – if you spot someone in difficulty or even if you think that someone could be in difficulty, dial 999 or 112 and ask for the COAST GUARD. Your call could save their life. This entry was posted in Callouts and tagged Callouts, coastal search, distress flares, donabate, Portrane, Rush, skerries coast guard by admin. Bookmark the permalink.